Large-scale wood heating and district heating pioneer in U.S. I first came to Nepal in 1968, stayed almost five years, returned twice, and am now here again, working as a volunteer for an NGO that is constructing schools in areas devastated by last year’s earthquake. My years in Nepal have informed my way of looking at the world and I find, once again, that being here is shaping my view of the future. We are just starting an epic struggle to stop using oil, gas, and coal–the cause of the terrible climate crisis that faces us–even though the extraction of these fuels has been and continues to be the greatest source of wealth in our history as a global family. In Vermont and in the U.S. we may get a glimmer of how this may be done, but in the developing world it is the use of fossil fuels that makes development possible. Nepal has just come out of a political fuel embargo that threatened to be a bigger disaster for the economy than the earthquakes. Now everybody here is clamoring to use more diesel, more gasoline, so that this poor country might have a chance of material progress. I can imagine what it will be like here if the world decides to stop taking fossil fuels out of the ground–and it won’t be pretty. But I sense that it will be just as disastrously difficult for us in the western world because oil and gas are so foundational to the way we have organized our economy and our lives. 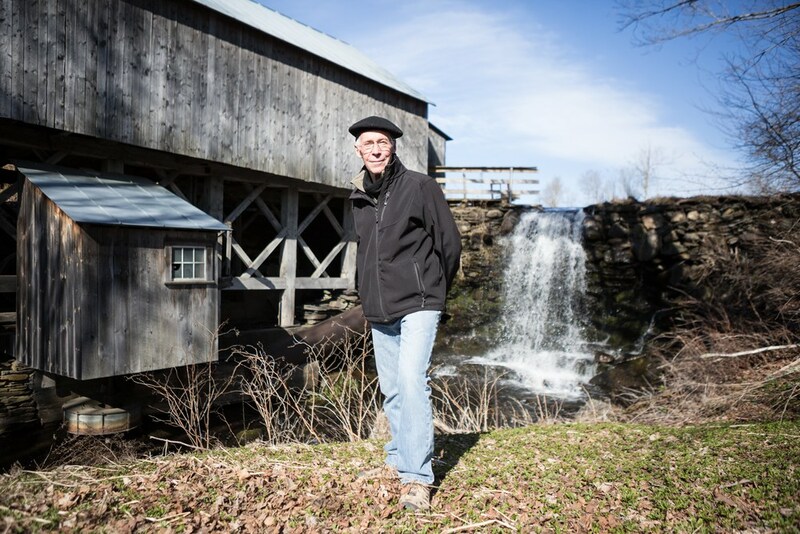 Tim Maker at the Robinson Sawmill in Calais, VT. The mill is on a regular walk Tim takes from his house through Kents’ Corner and Maple Corner, linking his daily life to the history of these villages.